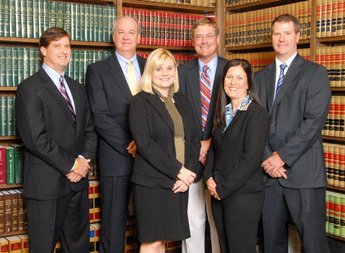 The attorneys of Nelson, Zentner, Sartor & Snellings, LLC have more than 100 years of combined experience. As trusted advisers to clients including high profile business entities, small and large corporations, insurance companies, hospitals, doctors, supervisors, adjustors and upper management, they develop creative solutions to resolve your legal matters. They pride themselves on the long-standing relationships they’ve developed with their clients and are committed to representing you in a professional, courteous and efficient manner. Acting as legal counsel in a wide variety of industries, Nelson, Zentner, Sartor & Snellings, LLC serves clients nationwide. The firm’s vigorous advocacy and the results its attorneys have obtained have earned them an AV® Preeminent™ Peer Review Rating by Martindale-Hubbell®, the highest recognition possible in the legal industry, for their professionalism and ethics. The firm provides prompt, diligent and aggressive representation. The attorneys are responsive to your needs and concerns and always give you clear and precise advice while creating a detailed plan for your legal matters. Their goal is to bring you peace of mind through personalized attention. Nelson, Zentner, Sartor & Snellings, LLC aims to resolve your case in the most efficient, cost-effective manner possible. Call Nelson, Zentner, Sartor & Snellings, LLC today at 318-388-4454 or contact the firm online to schedule a free initial consultation.